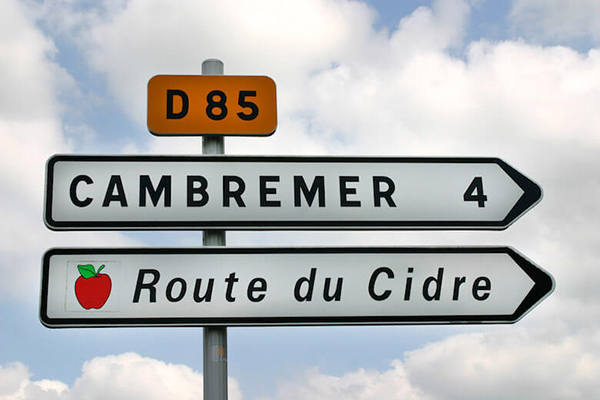 1) In Normandy, a Taste of Cider’s Past, Present and Future by Ariel Lauren Wilson is a beautifully photographed look at cidermaking in the Pays d’Auge. 3) Molson Coors gets a taste for 300-year-old Aspall cider reveals one of many possible suitors for the Suffolk cidermaker. 4) Cider Culture lists 4 Cideries Paving the Way for Barrel-Aged Ciders. And CiderScene lists 5 Rosé Ciders You Need To Try. 5) Recent cidermaker profiles: Twin Pines Orchards in Ontario, Good Intent Cider in Pennsylvania, and Downeast Cider in Massachusetts. 6) The Cider Institute of North America—which offers cider production training courses in partnership with American and Canadian universities—is hiring an Executive Director. 7) This week’s Cider Chat episode is Cider Making at Home Easy as 1-2-3. And at Cider Culture, the opening posts in the DIY Cidermaking series are Hello, Let’s Talk About Making Cider and Why Make Cider? 8) Bottles & Books—a new craft beer, real cider, and comic shop in Bristol, England—celebrates its Grand Opening on Saturday. 9) Sample award-winning ciders from the California Cider Competition and International Cider Competition at the Mendocino County Fair & Apple Show this weekend. Also on tap: the Virginia Cider Festival in Fredericksburg. 10) Along Came a Cider reviews Harpoon Pumpkin Cider. Cider Says reviews 2 Towns Hollow Jack and recaps Cider Summit Seattle in The Event and Tasting Notes. I Think About Cider reviews Les 3 Frères Brut. The Milled Apple reviews Argus Apple Bomb and Original Sin Black Widow. Cider Society reviews Finnegan Dry Cider, Hudson Valley Farmhouse Winesap, and Graft Endless Fields Gose Cider. Cider Sense reviews Bignose & Beardy’s Early Doors and Boars Head. And Cider Explorer shares tasting notes from Cider flights at Cider House in Toronto and reviews Martin’s Cider Jablkovy and Harry’s Dabinett.